PMI’s Certified Associate in Project Management CAPM is a valuable entry-level certification for project practitioners. Designed for those with little or no project experience, the CAPM® demonstrates your understanding of the fundamental knowledge, terminology and processes of effective project management.. CAMP® Certification has become the international standard for Project Managers and the credential of choice in most industries and organizations across the world. PMI®, PMP®, CAPM® and PMBOK® are trademarks registered by Project Management Institute. PMI members have the distinct advantage of being part of the world’s largest project manager member association. PMI members stay on the pulse of what is happening locally, regionally and globally in the project management profession by reading all the industry publications delivered directly to their inbox. PMI members can also access thousands of e-books, articles, white papers, trade publications and more to keep their project skills sharp. As part of a global community of project managers, PMI members can connect with other project professional by getting involved in chapters and communities of practice. Plus, PMI members receive special pricing on exam fees, online purchases, events and professional development opportunities. 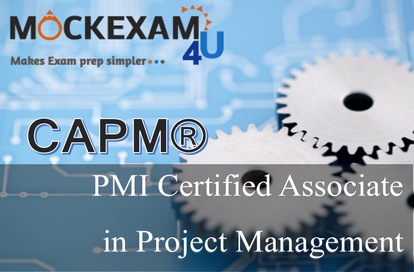 Mockexam4u is an ideal space to test your PMI’s Certified Associate in Project Management CAPM ® knowledge. The practice tests are designed to help prepare you for the CAPM® certification exam. It would allow you to assess your understanding of the topics covered in the CAPM® exam and identify topics on which you may need further training. It would give you a sneak peak at what you could expect in the actual CAPM® exam. Consider the test exam provided here as an elaborate SAMPLE EXAM. This sample exam encompasses 15 questions and is not time bound. The actual exam comprises of 150 questions for a duration of 3 hours. The feedback after every question will tell you the right answer and the explanation. Our group of Certified practitioners have carefully designed each of the sample and mock exams to ensure the entire syllabus is covered and the reader gets the utmost benefits. Click the image above to check the CAPM® sample exam. It would give you a sneak peak at what you could expect in the actual exam. These review questions do not reflect the actual questions you will receive on the live certification exam. They are only meant to supplement your exam experience. We would like to add at the outset that preparing to take an exam is a personal matter and highly dependent on an individual’s personal learning methods. For some candidates, a careful reading of some of the texts in the reference bibliography will be most obliging, while others may find significance in purchasing study guides, taking a local refresher course, or forming a study group with other quality professionals. All certification candidates are responsible for their own study and preparation for the exam. It would be prudent to take this test as many time as possible to boost confidence and to test your preliminary assessment levels. This online Test remains the property of the Mockexam4U. The PMI’s Certified Associate in Project Management (CAPM)® certification sample questions and the online tests are not from the official PMI sample papers and they are created by our organization. These test questions are not to be reproduced or re-sold without our permission. Enjoy the exam whilst free! Each of the exams is vigilantly questioned with each question differing from the other to ensure the entire PMI CAPM® course material is covered. Also visit us soon to check the newly added mock tests. Do give us your precious feedback so that we could cater more easily to your needs. Please come back soon to attempt the mock tests for the PMI’s Certified Associate in Project Management (CAPM)® certification practice exams. To register for CAPM® certification, you would first require to register by following this PMI® link. Schedule for your CAPM® examination which is a computer-based examination and in some cases can also be paper-based examination. Refer the CAPM® handbook for more details. Also you cannot schedule an appointment until PMI® receives payment for your credential fee. Schedule your appointment online at the Prometric website. You can also use the same link for re-scheduling or cancelling your test. CAPM computer-based exams will now be offered at over 5,000 new Prometric testing locations worldwide. In order to be admitted into the Prometric testing center you must carry a valid, non-expired government issued identification with your photograph and signature. 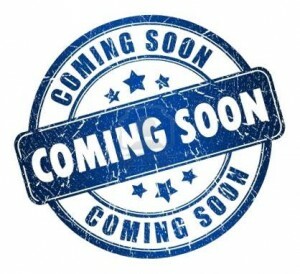 Candidates may visit http://www.prometric.com/PMI/default.htm for the nearest CAPM test locations and availability in their demographic area. Upon completion of the computer based CAPM Certification examination you will receive a printed copy of your test result. You simply re-take the exam which includes PMBOK® Guide updates that have occurred over the last five years. There would not be a requirement to renew CAPM® credential using PDUs.